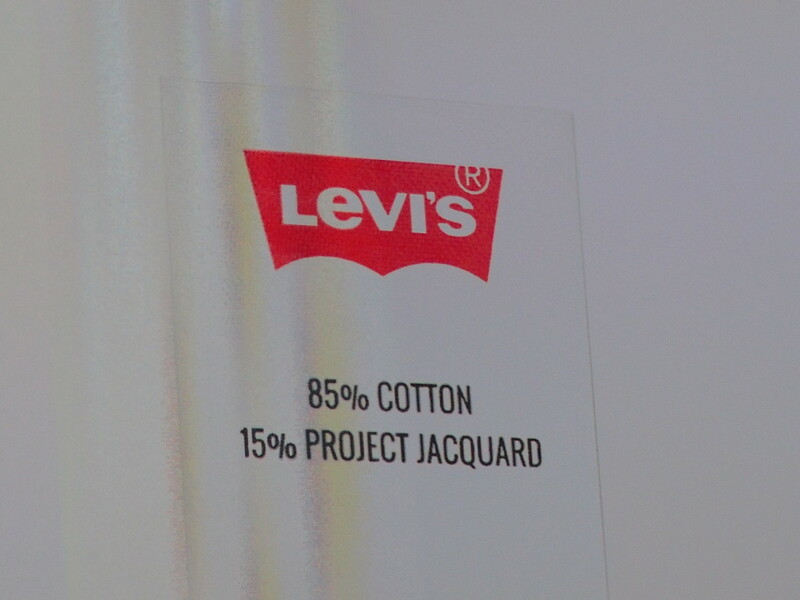 Google today unveiled a partnership with the Levi’s fashion brand to create smart clothing using Project Jacquard, a conductive textile material that can be woven into any fabric. Google’s ATAP research team described how it created the material from scratch – and worked with several textile makers to weave it into various materials. It can be made in virtually any color or thickness. It showed off a jacket made with Jacquard on stage that could work as a touchpad. The material was pressure sensitive and could even detect hovering motions In another example, the material was able to dial contact on your phone with just a swipe. Of course, just having the cool tech isn’t enough to get people wearing it, and Google isn’t exactly a fashion company, so it announced the partnership with Levi’s to bring Jacquard-enabled clothing to the market soon. It’s an awesome concept – you can swipe away a phone call without ever interrupting conversation on a dinner date, or switch song tracks easily while walking down the street. The textile can be woven into any size that you need it to be as well. Earlier, Google unveiled Soli, a tiny radar-based sensor that lets you control devices with your fingers as the interface – no touchscreen required. We were able to try out Project Jacquard earlier during I/O. Look out for our hands-on soon.